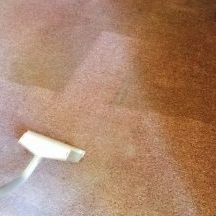 Uncleaned carpets do more than look dirty, they also carry mildew and other odors that can lead to a less than pleasant environment. Eagle Cleaning offers a variety of methods, skills and know how to help clean commercial carpeting, and help your business put its best face forward! Eagle Cleaning technicians will help you create a clean and comfortable environment. Whether you are a school, office, hospital, or market turn to Eagle for your commercial carpet and upholstery cleaning needs. Bold Mold! The main cause and what you should do now!